Hdmi Over Cat5 technology is used to expand hdmi signals over network cables to remote HDTV displays that has been placed at a distant location from the source device. The transmission of the HDMI signals could be done via cat5/cat5e/cat6/cat7 cables. When you compare it with the fiber optic cables and wireless, the Hdmi over Cat5 solution is a cost effective, stable and best selection for long cable usage. This technology is very new, but shows a continuous development. These products allows you to expand 720p/1080i/1080p hd signals to remote locations. The sender sits next to the source (computer, set-top box, DVD player, ps3, projector or blu-ray player). The supplied cable connects an HDMI source to the sender unit. 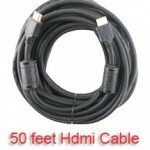 The Hdmi Cat5 Receiver sits next to the HDTV display up to 825 feet away (Maximum support length is depend on the Hdmi Cat Extender Model). The HDTV display plugs into the receiver. Two CAT5 cables link the Sender and Receiver units to each other. Power adapters are connected to HDMI CAT5 Sender and Receiver. You will see a vibrant HD picture results on the connected HDTV display at the receiver. 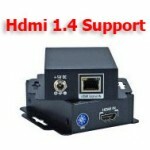 What will I need for the HDMI Over Cat5 solution ? Nowadays, two type of devices are used for the solution. 1. 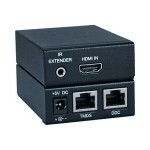 Hdmi Over Cat5 Extender is an electronic equipment and consists of two part, sender and reciever. They have signal boost ability for the long distances. Some kind of models exists at market, they have been produced as powerless, externally powered, one network cable and two network cables. Before buy or begin to implement these products you should check the requirement of your setup carefully. There are advantages and disadvantages between each others. Also, you can see various models at market has support up to 200ft. 2. 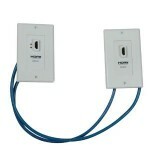 Hdmi Over Cat5 Wall Plate is a basic solution and direct network cables are used for communication. You will not have a chance to boost the source signal. Most of them use two network cables, so network cables have a major role for the result. 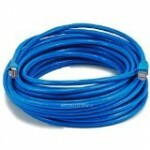 Quality and tested network cables should be used. 3. Network Cables are one of the most important part of this solution. It doesn’t matter whatever extender you choose, if the network cable type is not right than your result will be problematic. Not: 3D Hdtv displays use the new Hdmi 1.4 technology and 3d signal requires high bandwith more than hdmi 1.3 (1080p) so, you should check this spec and search result before buying a Hdmi Over Cat5 Extender for 3D HDTV. If you are well educated, you can manage every HDTV brand with this modern technology. 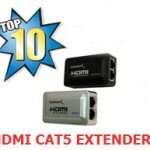 If you obtain HDMI Cat5 extender that could be very powerful you might have your display and audio system in another rooms of your home. The HDMI Over Cat5 extender option is extremely beautiful because cat5 cables are extremely low-cost and are neater than the fat video cables.